Android is a groovy operating system, but I often think think that manufacturers are given too much leeway in terms of how much of their own software they can ship on the devices. 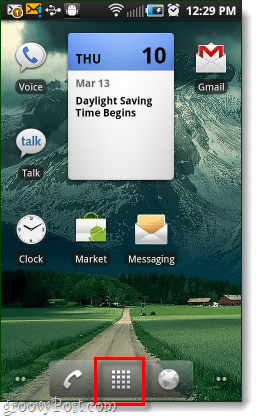 Samsung is no exception, and because of this it can take a few extra steps to get your phone completely up to date. Firmware updates are important because they can fix errors, improve compatibility, and increase performance. In a recent Froyo, Android 2.2.1 update, Samsung released a faulty version. This resulted in many problems for some, and few for others. Resoundingly similar though is that the video camera either stopped working or became extremely unstable for users with the Epic 4G variant. Thankfully, Samsung released a camera-specific firmware update that should mostly correct this issue. I say “mostly” because the camera is still a little slow, but I confirmed that it does work now. Alright, let’s get to updating! On your Homescreen, Tap the App Drawer. Once in the app drawer, Tap the Camera app. 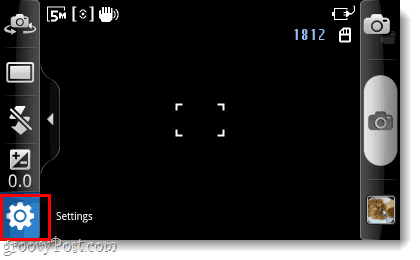 *If this button is not visible Click the side-arrow to make it slide out. 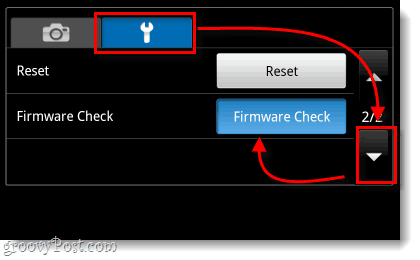 In camera settings, Tap the Wrench tab and then Tap the down-arrow and Tap the Firmware Check button. 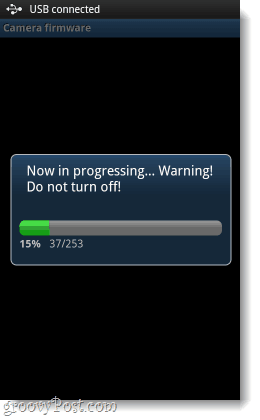 Now, finally – you’ll be on the firmware updater screen. The first thing to do is Tap Check Version by Network. 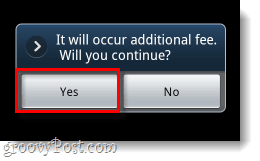 You’ll see a small prompt appear that reads “It will occur additional fee. Will you continue?” Tap Yes. About the fee, there is no fee: Besides the fact that it is written in completely broken english (Samsung is from Korea after all), I have no idea what this is talking about. Nowhere does it note anything about a price, and I have not heard of anyone actually being charged something on their phone bill for this. You never have to give Samsung your credit card info, so I think it is just left over fragments of software that shouldn’t be there. 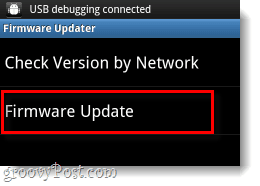 Once you are done checking version by network, you can perform an actual Firmware Update. Again, you’ll see the same fake-fee window, just Tap Yes. Your phone will hook up to some ambiguous Samsung network, and then it will provide you with details for an app called CameraFirmware_OZ. Tap the orange Install, and then on the next screen Tap Install again. Warning: Before you start this step make sure your phone has decent battery life, or is plugged into a charger. 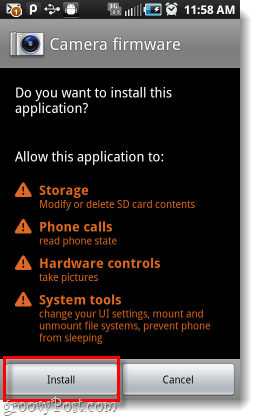 If your phone powers off during the camera firmware install it could render your camera unusable. 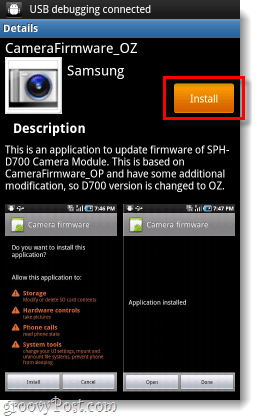 Once the Camera firmware app is installed, we can now use it to install the real firmware. 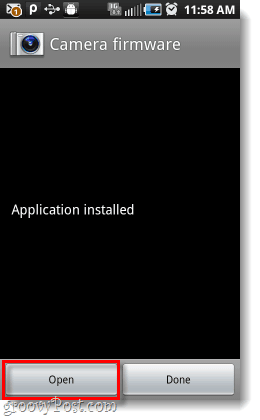 Tap Open from within the Camera firmware app and then the installation will start. The total setup time should be approximately 3 minutes. 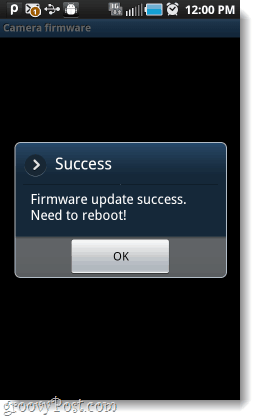 When the firmware finishes updating you’ll see a small Success window, Tap OK and your phone app will reboot itself. Now that you have the firmware completely installed, the Camera firmware app will now ask if you would like it to uninstall itself. Since we don’t need it anymore, why not? 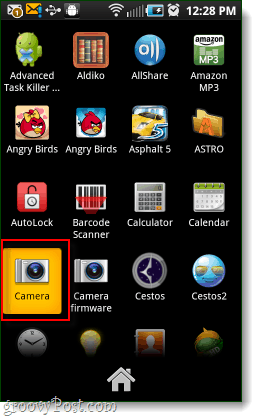 Tap OK.
Now your Samsung Galaxy should have updated camera firmware. This might not completely fix the frame rate issue, but it will help. 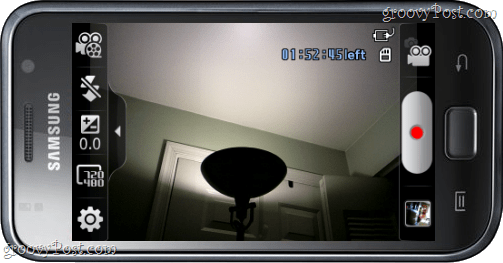 This should also prevent your recordings from just straight-away crashing during a capture. Is this something just for your galaxy? Because my galaxy s doesn’t show the check firmware button/option. I think this might be for U.S. variants. Thanks! Appreciate the help. Have been very frustrated since the update. I had done this camera firmware update in froyo and notices some interesting things. 1. After rebooting my phone(samsung vibrant which is unrooted), the colors on the screen appears more vibrant than before. 2. The phone feels even after faster than the improvements from the froyo update. Running linpack gave me MFLOPS readings in the 10s range from the 8s in the Eclair revision and now its in the 13s MFLOPS range. What are the actual improvements made to the camera firmware? I noticed a zooming feature which i discovered by accident, and notice the anti-blurring feature working better but nothing else really. Hello Fleet of Tech-Angels! I’m using my father’s old Galaxy S Epic while my new one is off for “repair”, and having a problem at Step 4. I check version by network and it says “Must Update Firmware”. I click “Firmware Update” (Yes, for the fee) and it opens a screen with rainbow lines and “Samsung”. Then it says “Error. Service Unavailable. (4002)”.